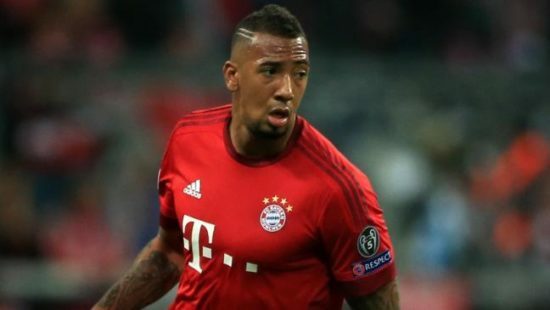 According to Teamtalk, Manchester United are ready to sanction a move for Germany international, Jerome Boateng. The 29-year-old centre-back is open to the possibility of leaving Bayern Munich after falling out with club chief, Karl Heinz Rumenigge. The German outfit are willing to let him go as they feel Niklas Sule can step up to more first team responsibilities. United have been linked to the player earlier this summer but the transfer fee being mooted stopped the deal from materializing. Kicker claim that United are ready to make a £53m move for the former City defender. It is also reported that PSG are also interested in signing Boateng, who has suffered his fair share of injury worries in the last two years. In his time at Munich he has grown to become one of the best central defenders in the world – even if he didn’t do quite so well at the 2018 World Cup – and has been a vital member of the 5-time European champions since joining them. United may switch attention to the player as negotiations continue to remain tough for the signing of Toby Alderweireld from Tottenham. Boateng will be ready for a new challenge and has stated his admiration of playing once again in the Premier League. Boateng is an experienced defender known for his calmness in possession, aerial strength and remarkable strength. He often makes up for his lack of pace by reading the game astutely. Our back-line made errors at crucial times last term – Boateng would undoubtedly add quality.